I got to travel to the annual UN climate conference, COP23, in Bonn last month with my Delphi colleague, Melissa Harris. A lot of great COP23 recaps are already out there, so no need for me to summarize the proceedings here. Instead, here are my thoughts on what we can do to be successful post-COP23. This was the first UN climate conference since the U.S. officially announced its intention to withdraw from the Paris Agreement. The state response to that announcement has been pretty full-throated in the U.S., and other countries around the world have also stepped in to fill the leadership and funding gaps. What has been truly interesting to watch has been the corporate response to the federal U.S. position. Companies like Walmart, General Motors, Ford and Mars have been vocal about their ongoing support for climate action. Michael Bloomberg, the American billionaire spearheading the private-public initiative, “America’s Pledge,” claims that the private sector – in conjunction with states – can and will meet the U.S. targets under the Paris Agreement. One major outcome of COP23 was the Talanoa Dialogue, a Pacific term referring to constructive, solutions-oriented debate and storytelling. The process will centre around three questions: Where are we, where do we want to go, and how do we get there. At the end of the day, the Talanoa dialogue is about taking stock and catalyzing near-term action to reduce emissions. This is where industry can contribute significantly, with their ability to move quickly and drive innovative solutions. COP23 drove home that we don’t just need companies and industries in the clean economy at the table…we need them all. That includes the oil and gas and more traditional resource companies. Us-and-them, binary-style thinking isn’t helpful when we’re looking for solutions to one of the most complex problems of our time. We can travel far together if we tap into our collective ingenuity and expertise. We have a great example of this right here at home: the Carbon Pricing Leadership Coalition (CPLC), which represents a coalition of 25 national and sub- national government partners, 150+ private sector partners from a range of regions and sectors, and 30+ strategic partners representing NGOs, business organizations, and universities. 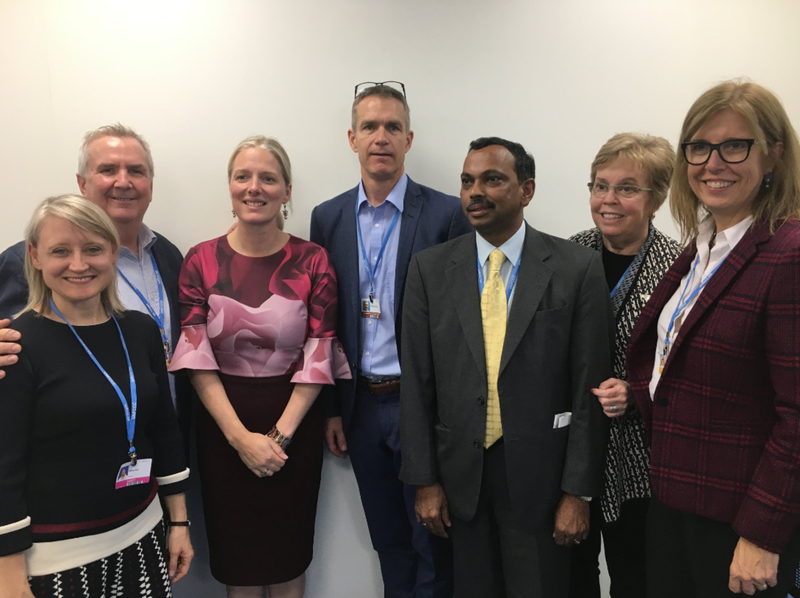 Delphi and GLOBE Series hosted an event for the CPLC at COP23, at which the Minister of Environment and Climate Change, Catherine McKenna, launched the initial briefing note (authored by Delphi) from the group. 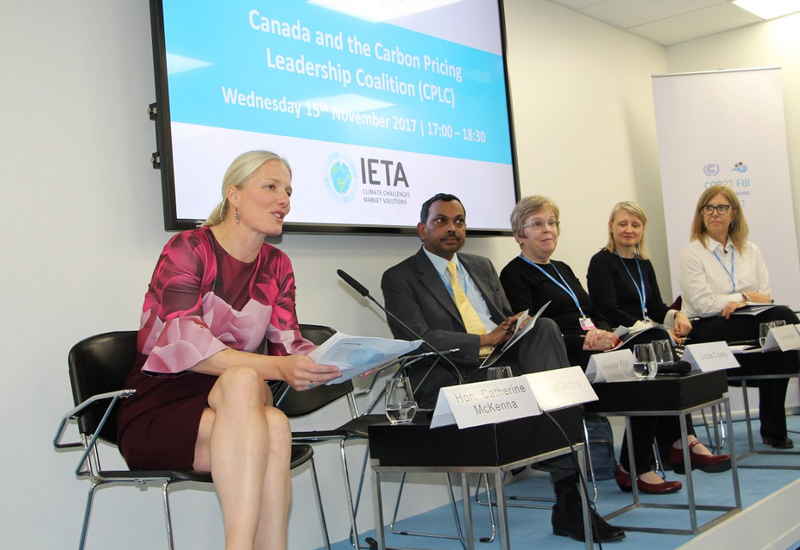 This coalition of very different organizations and individuals is working collaboratively on opportunities to contribute to both the domestic and global conversation on carbon pricing and competitiveness. How very Canadian. COP23 was another step in the right direction as countries made slow but steady progress to develop the rules for implementing the Paris Agreement. Climate action by companies, governments, youth, and First Nations communities is accelerating on all fronts. Low-carbon technologies are rapidly advancing. Innovative new business and financing models, policies and partnerships are being formed. Are we making progress? Without a doubt. Could we make more? Absolutely. New research is a reminder that the gap continues to grow between what countries committed to under the Paris Agreement and what it would take to limit warming to below 2C (let alone 1.5C which Canada and others signed up for). So let’s keep pushing beyond what is possible to what we haven’t even imagined yet. This is a conversation that has to happen at every level of society. It has to involve those who don’t live and breathe climate change and sustainability, as we and many of you do. It needs to be about action, and about what people can do to create the kind of world they want. It has to be a movement. Let’s get going. Join Mike at GLOBE Forum 2018 in Vancouver on March 14-16 where leaders and disruptors from government, business and civil society will move the dial on climate action and sustainability.